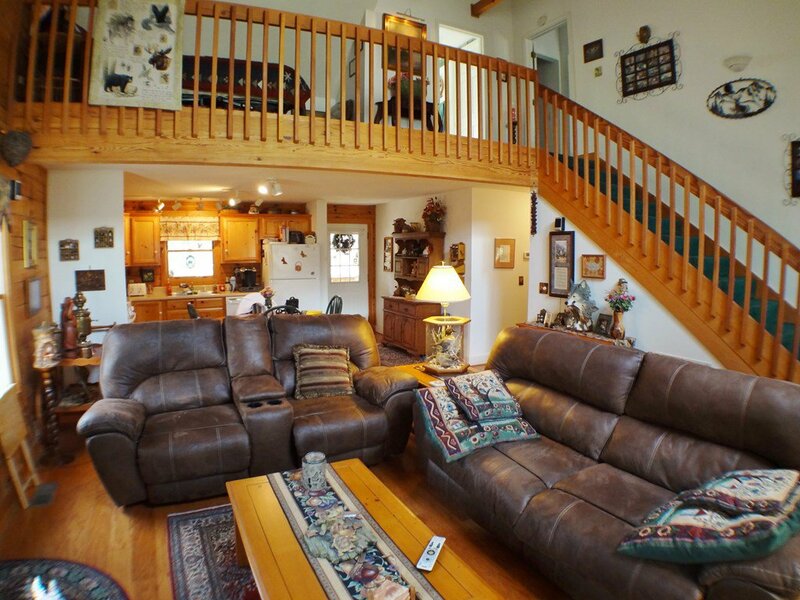 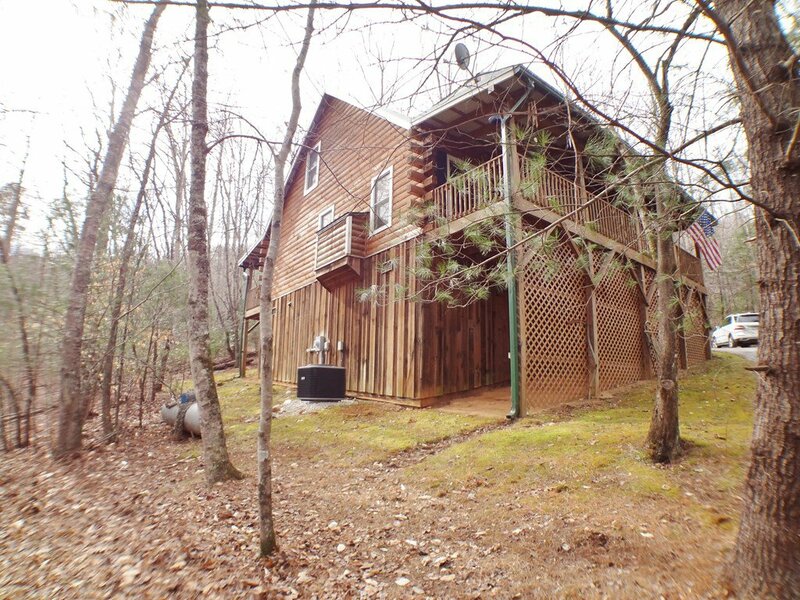 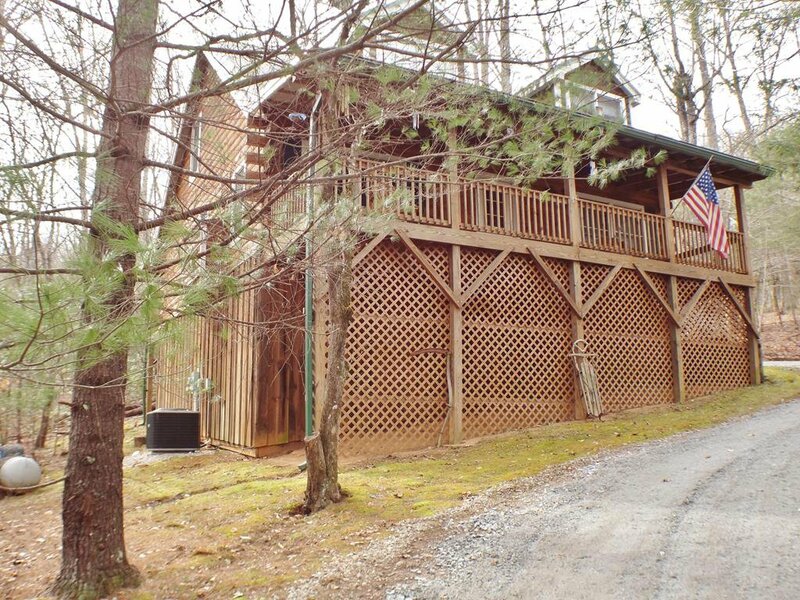 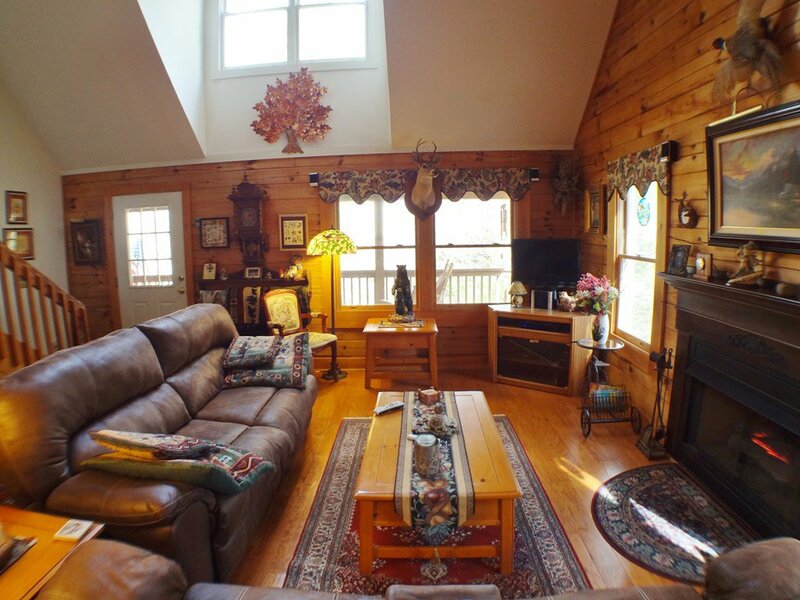 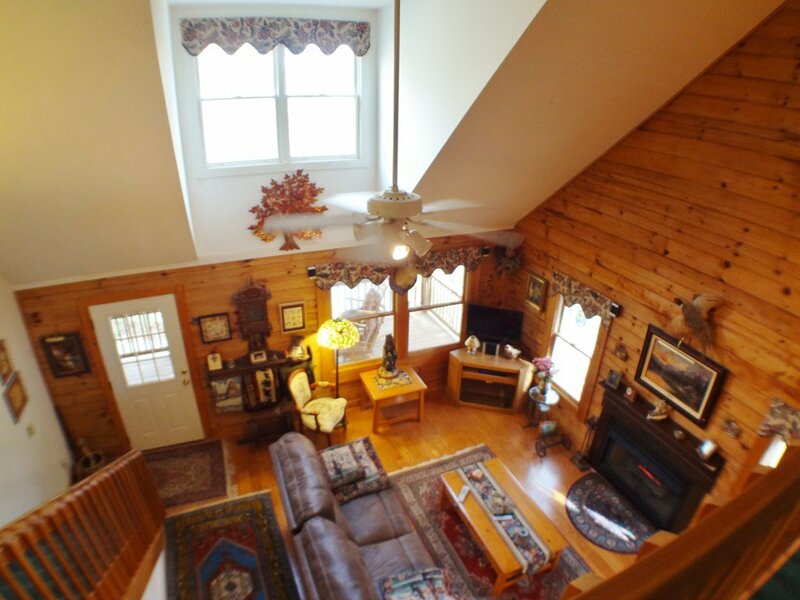 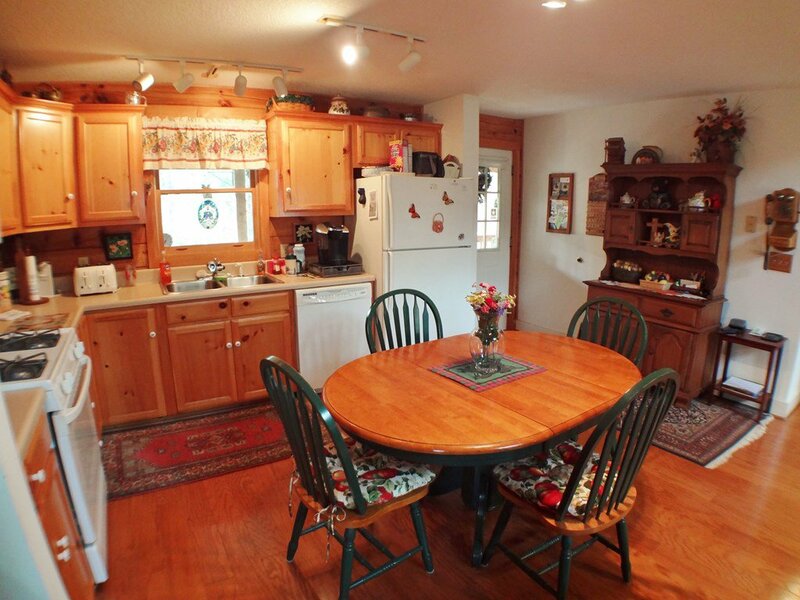 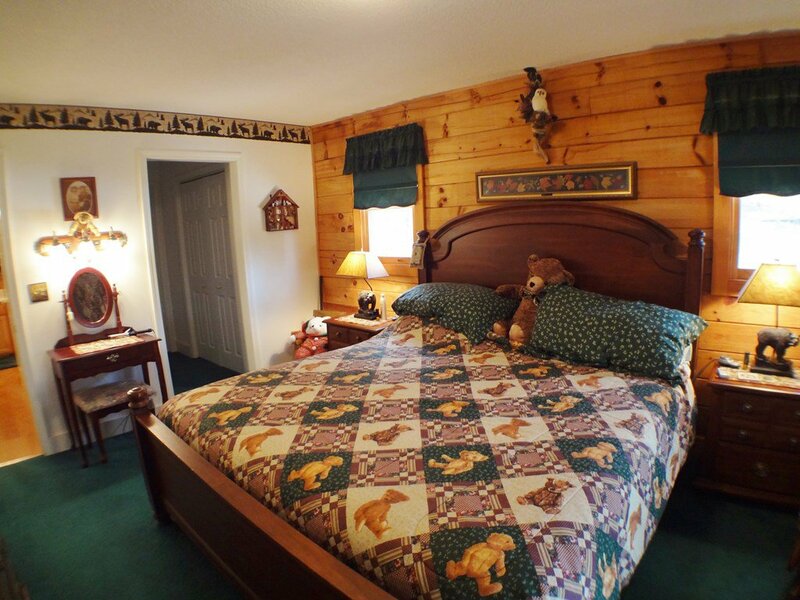 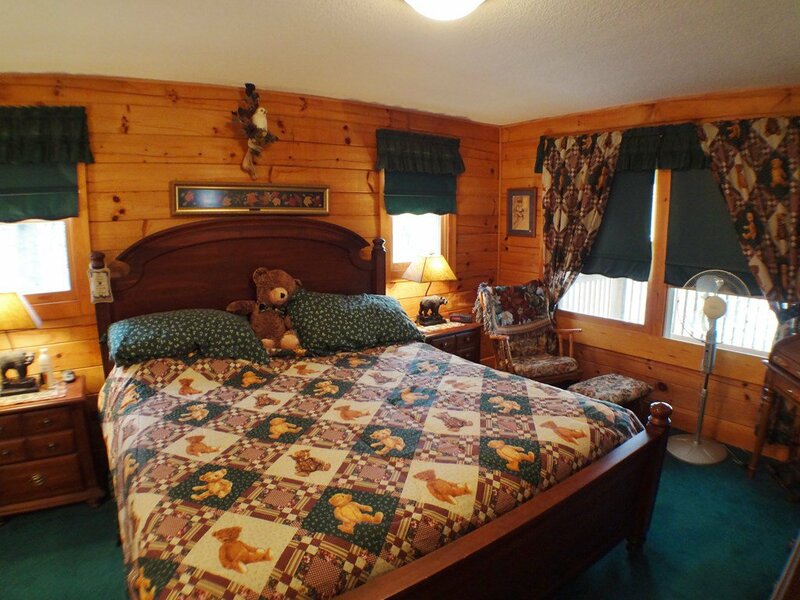 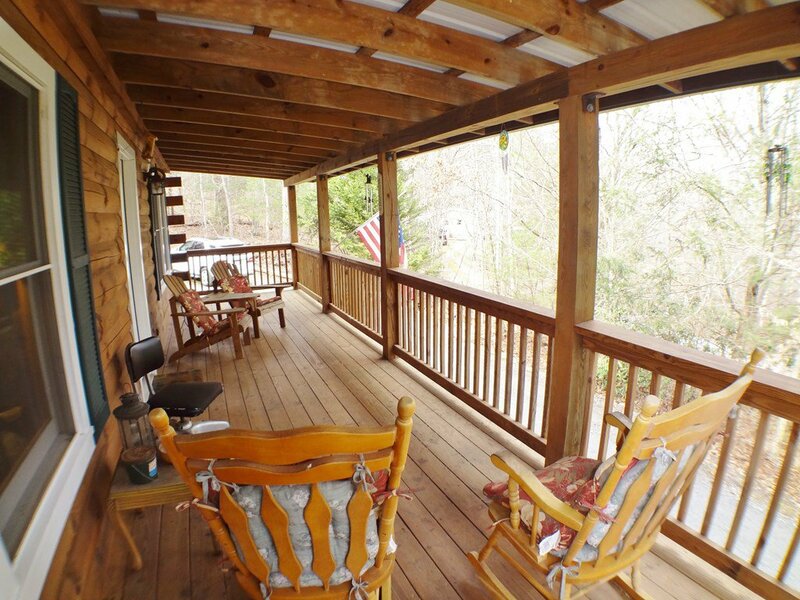 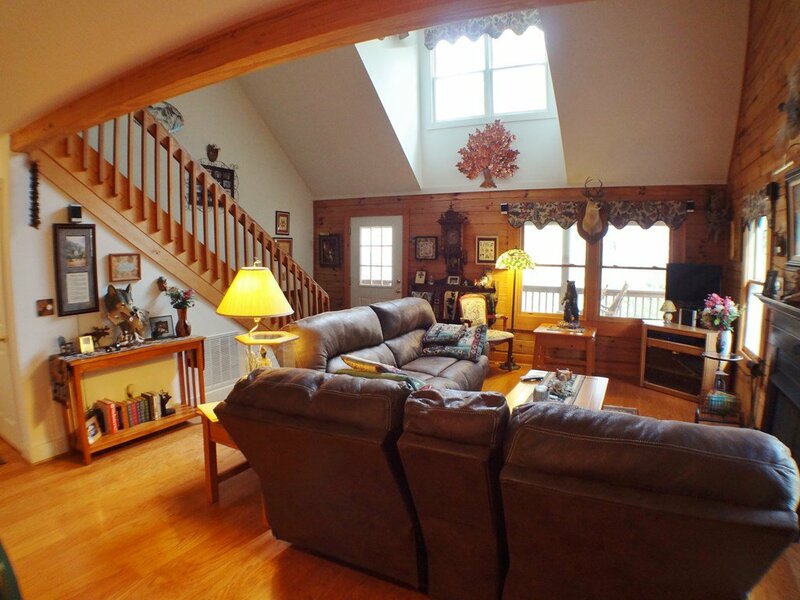 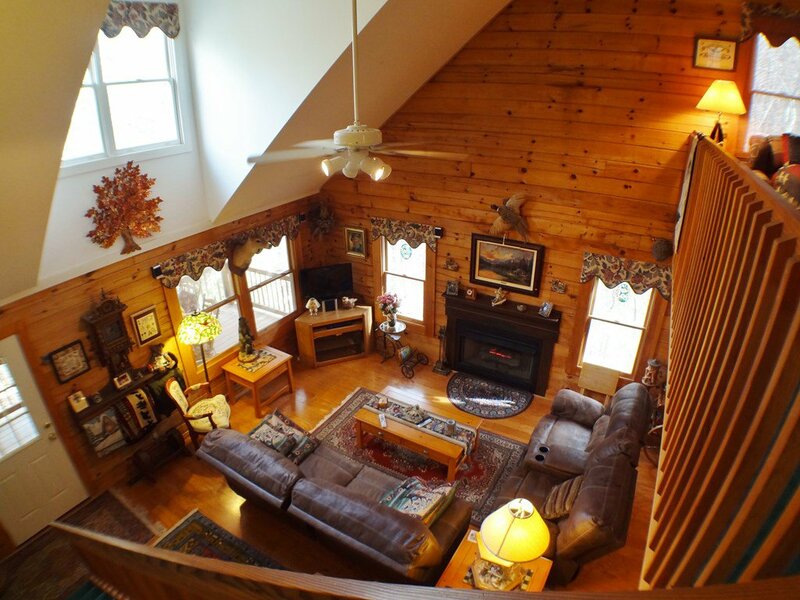 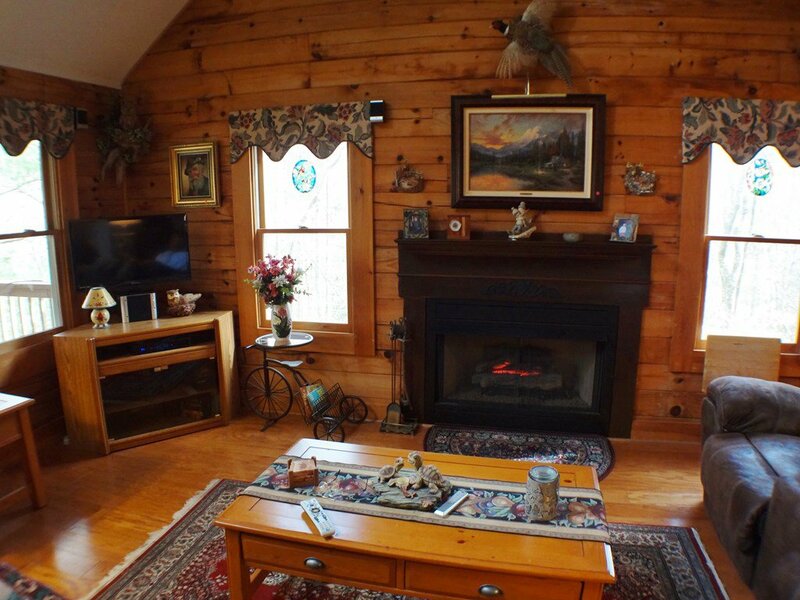 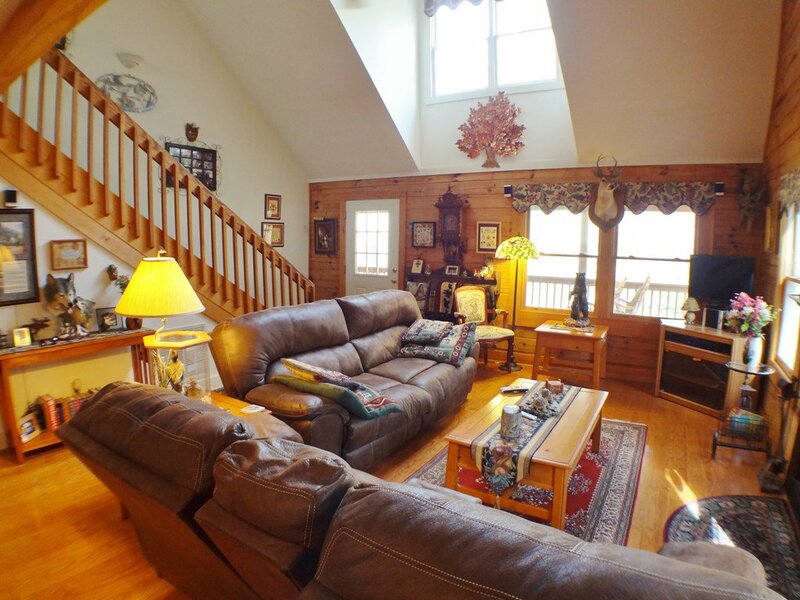 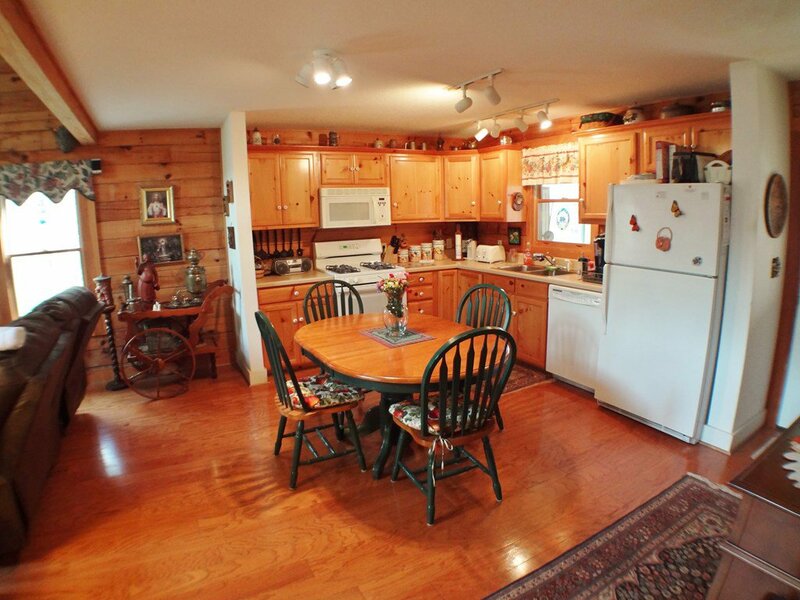 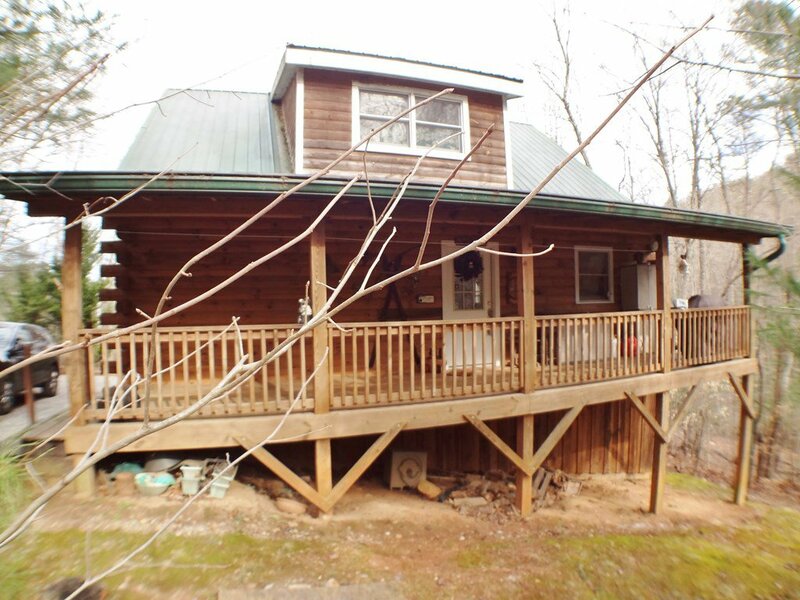 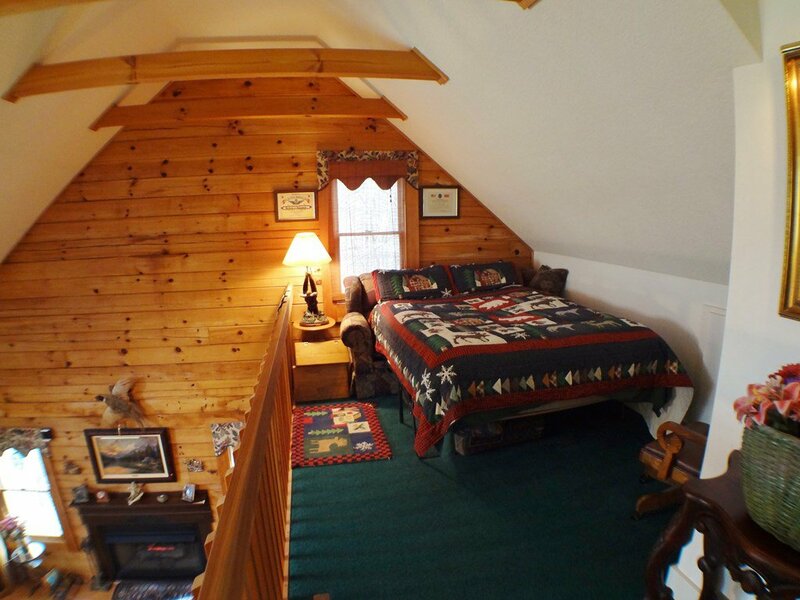 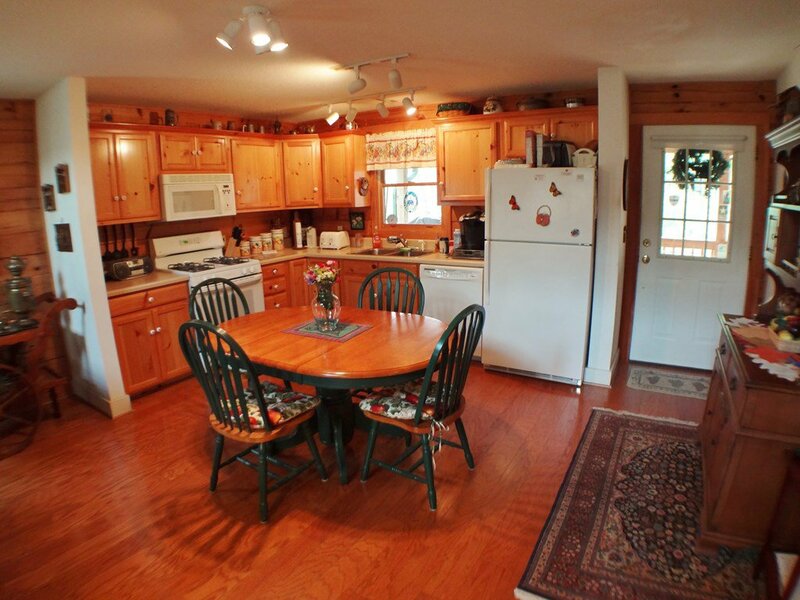 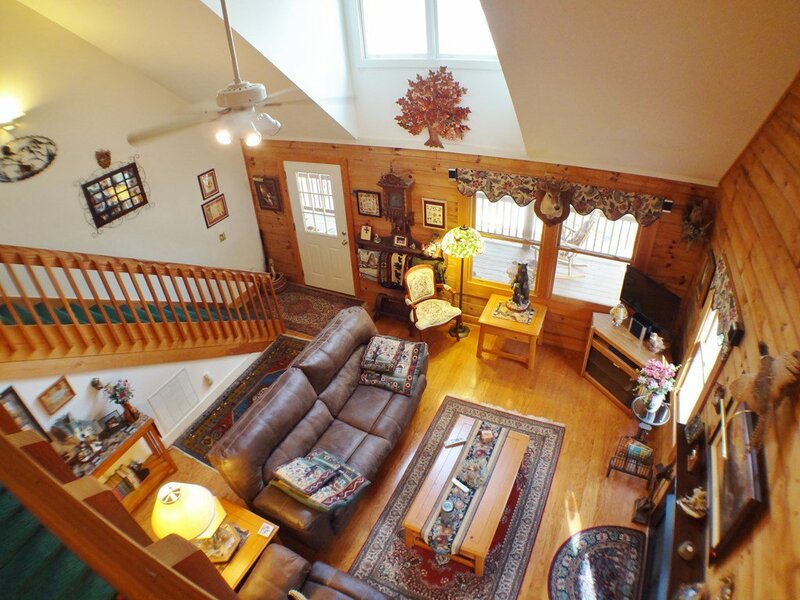 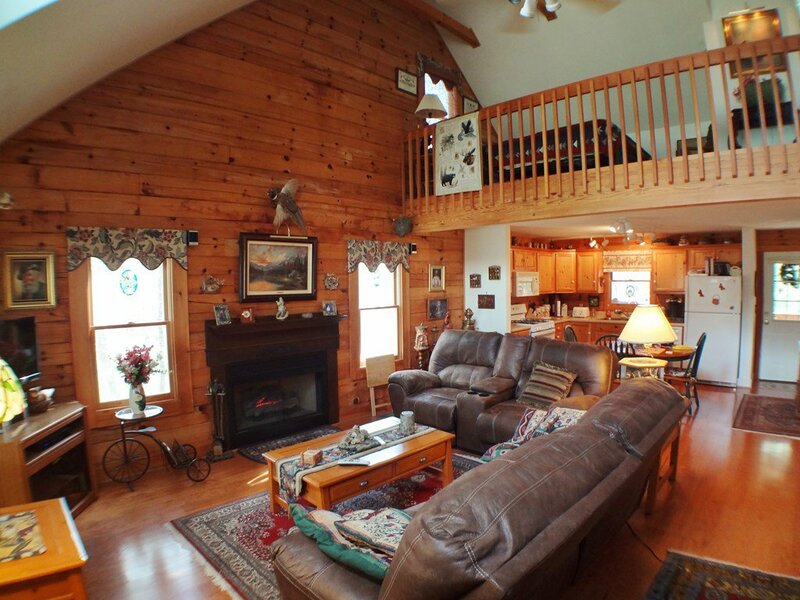 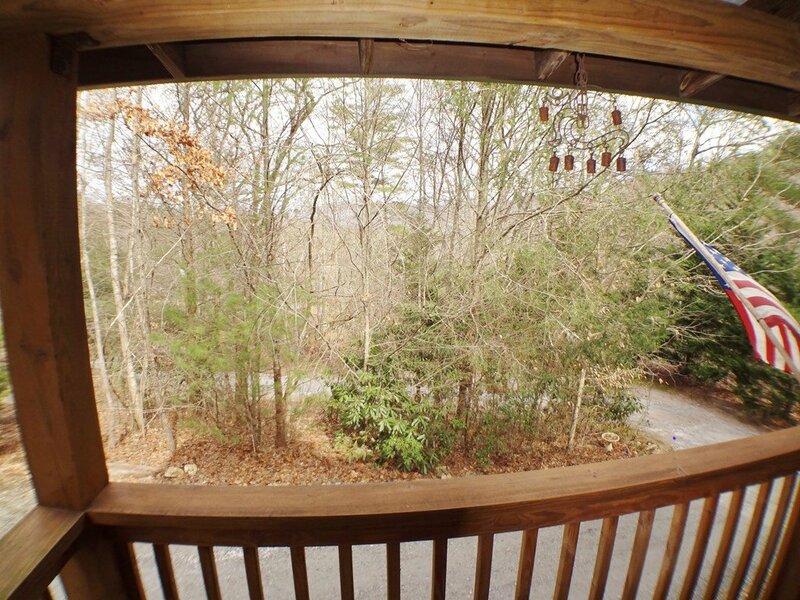 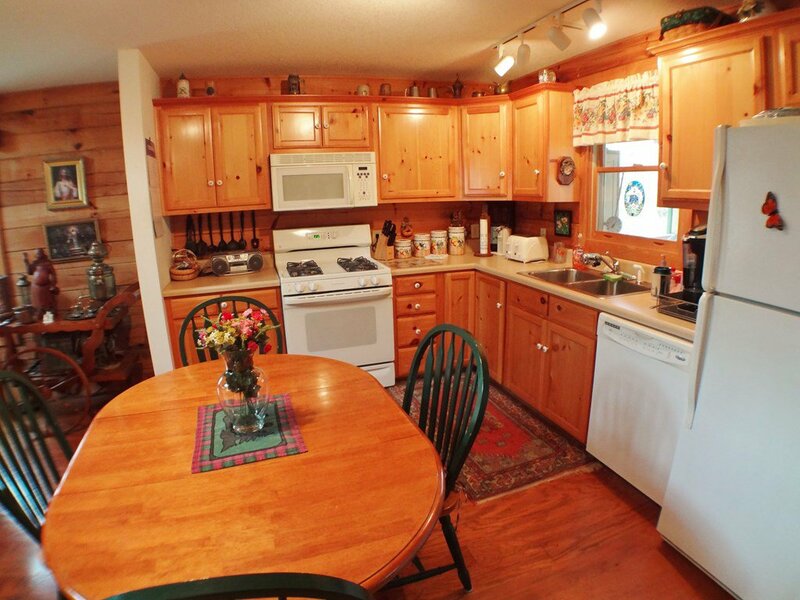 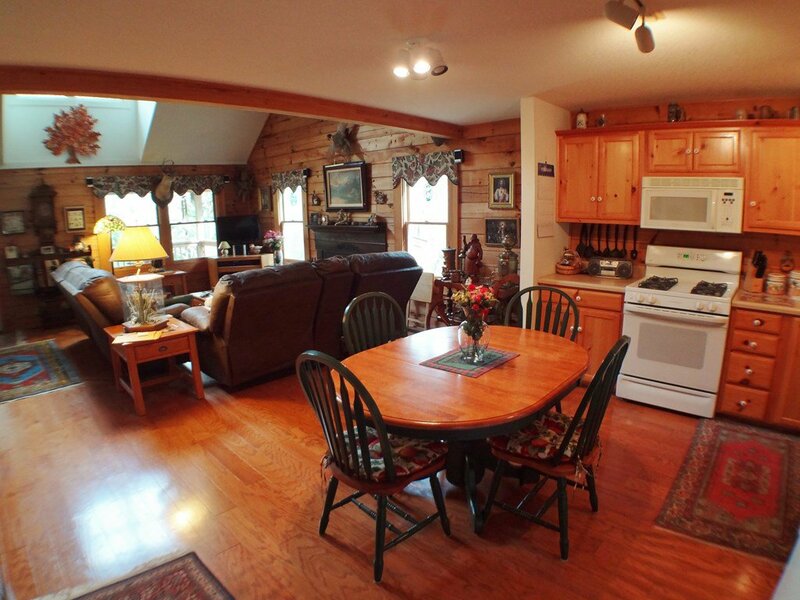 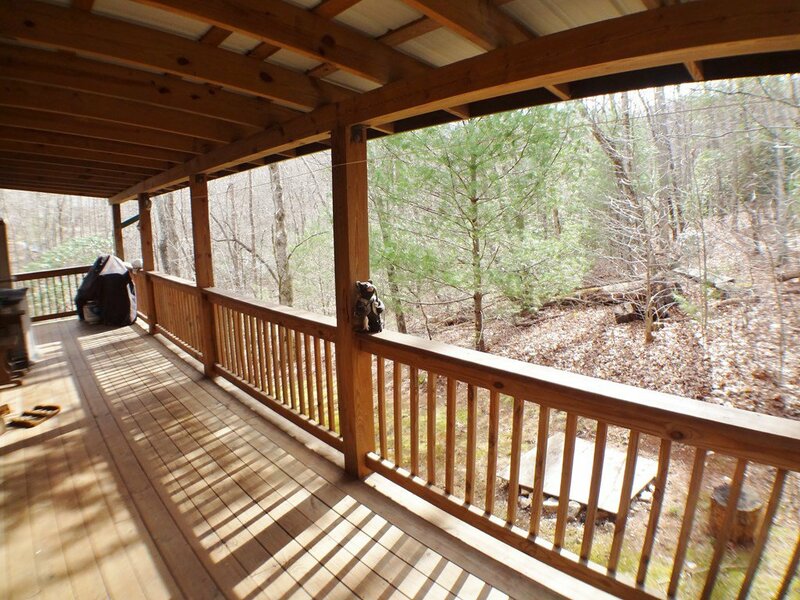 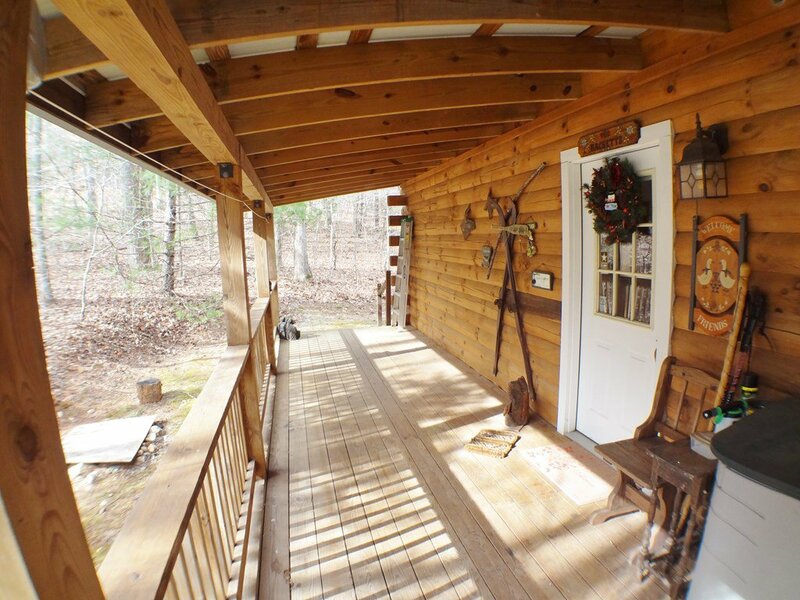 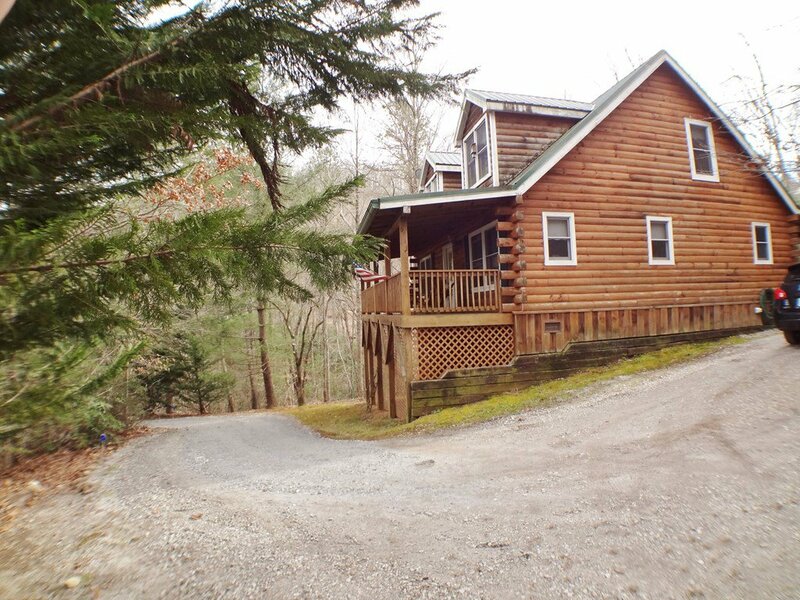 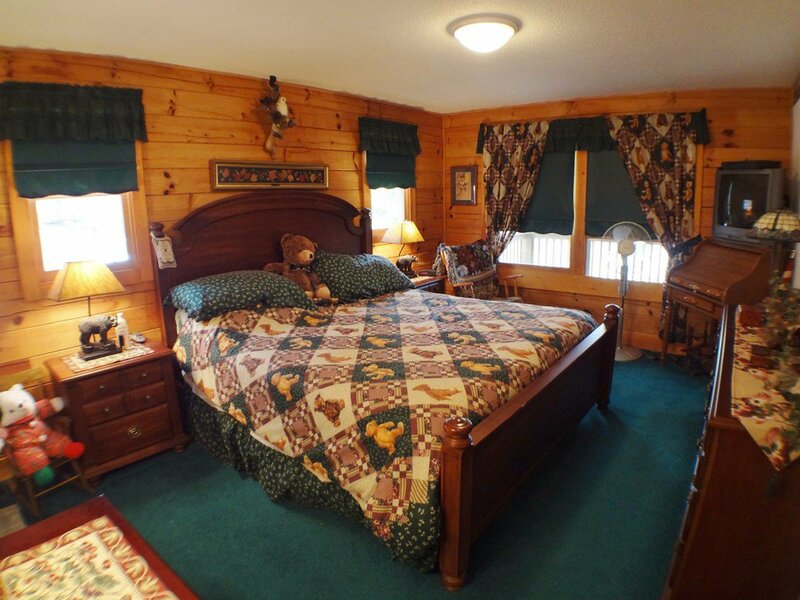 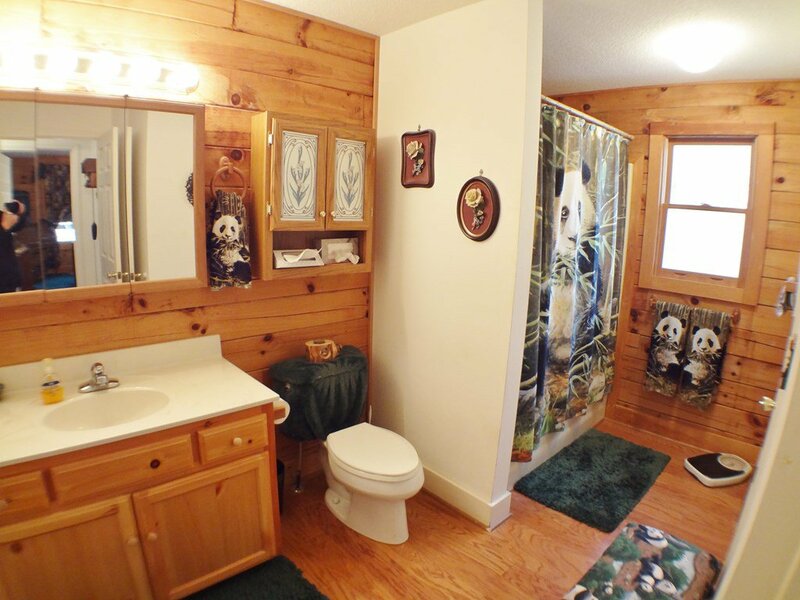 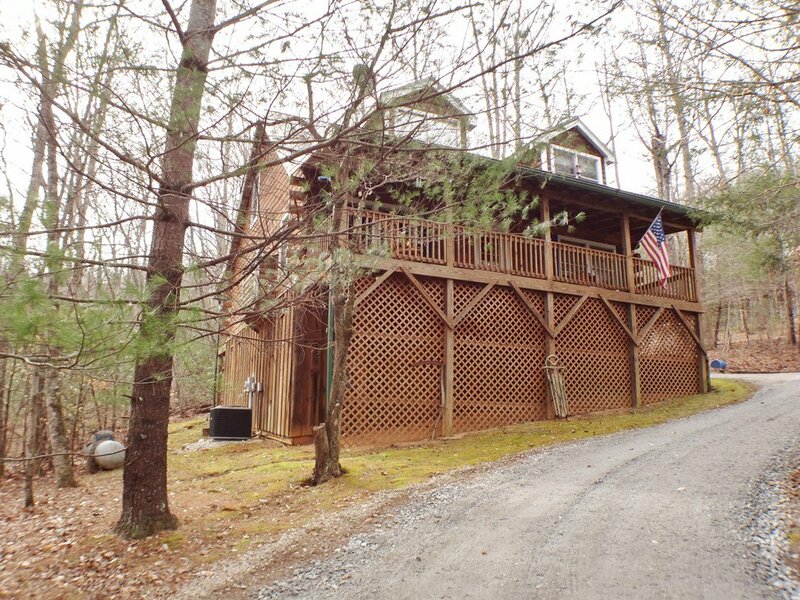 This log cabin, fully furnished just bring your clothes, is cute as can be and nestled in the woods with privacy. 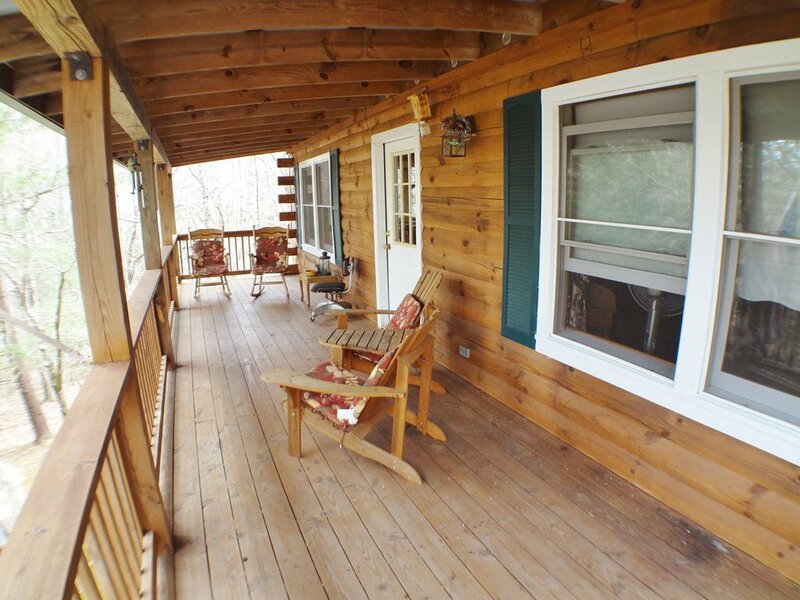 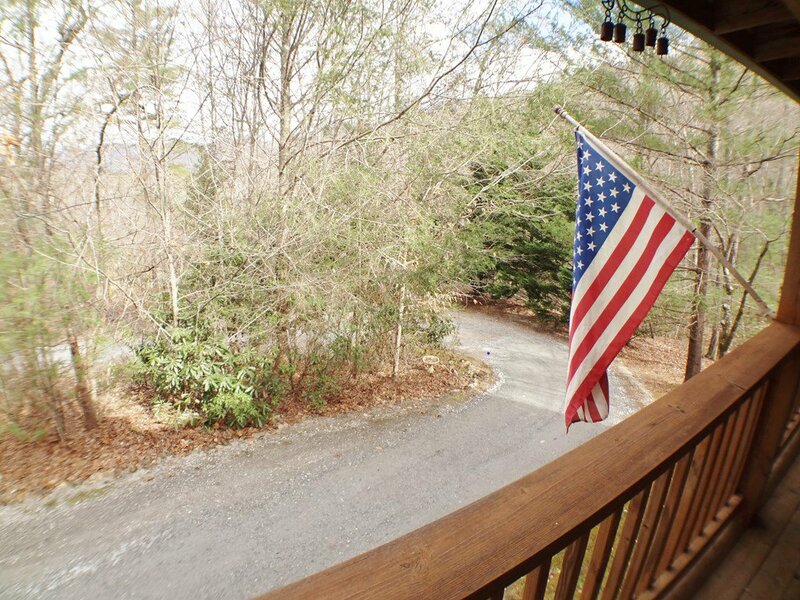 Snuggle by the fireplace on a cool evening or sit out on the covered porches and feel the cool breezes as you enjoy all the woodland creatures and listen to the babbling brook near by. 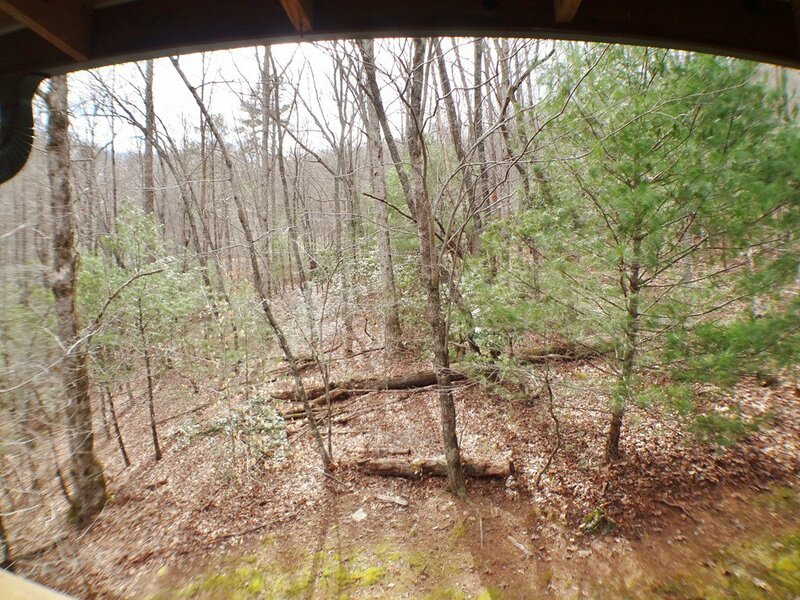 Inside the home are exposed pine logs and sheet rock and the floors on the main level are wood with carpet on the upper level. 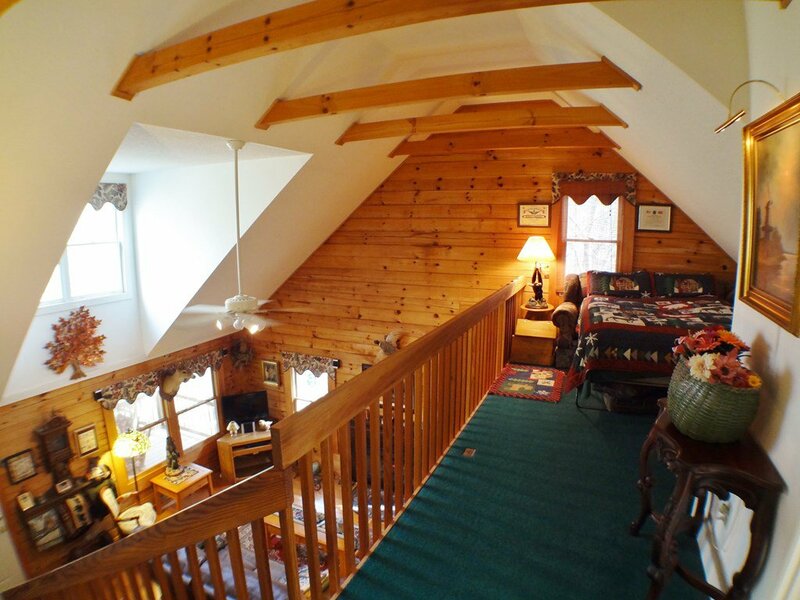 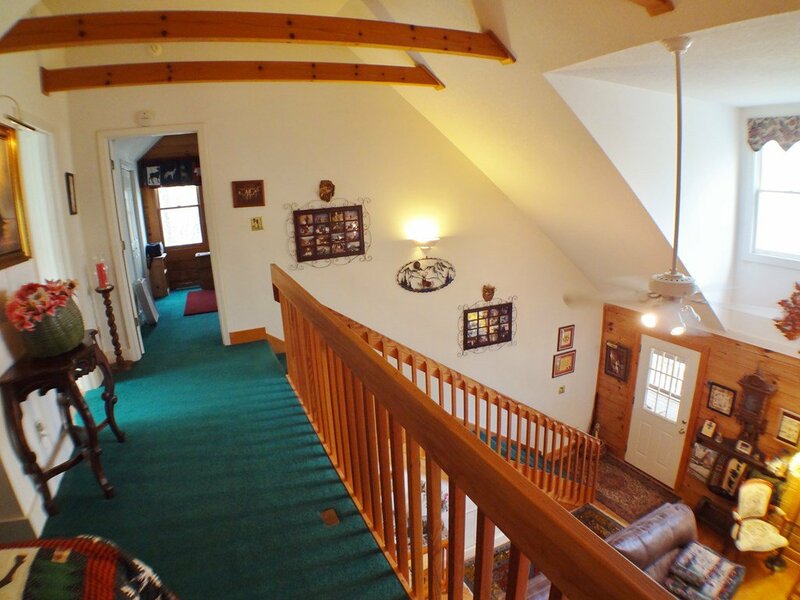 Pine beams enhance the cathedral ceiling and pine railing line the loft which could be another sleeping area, play room, office or sitting area. 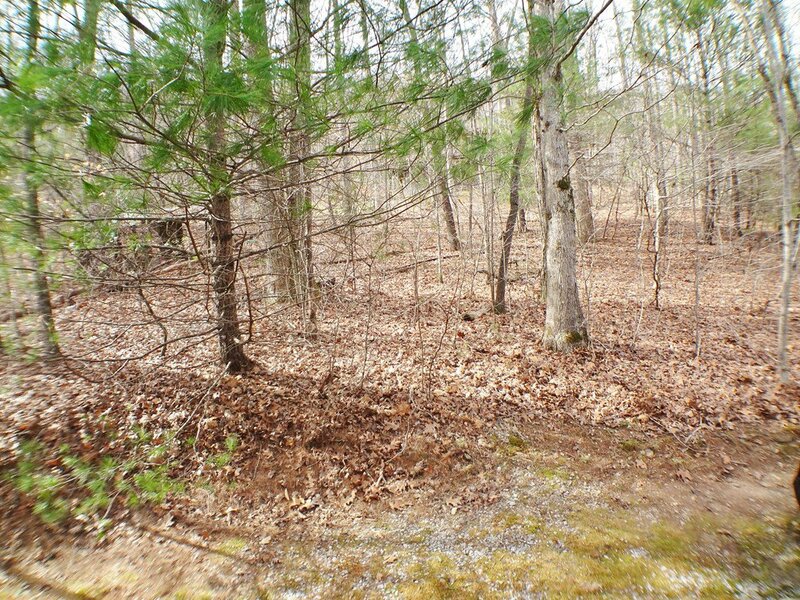 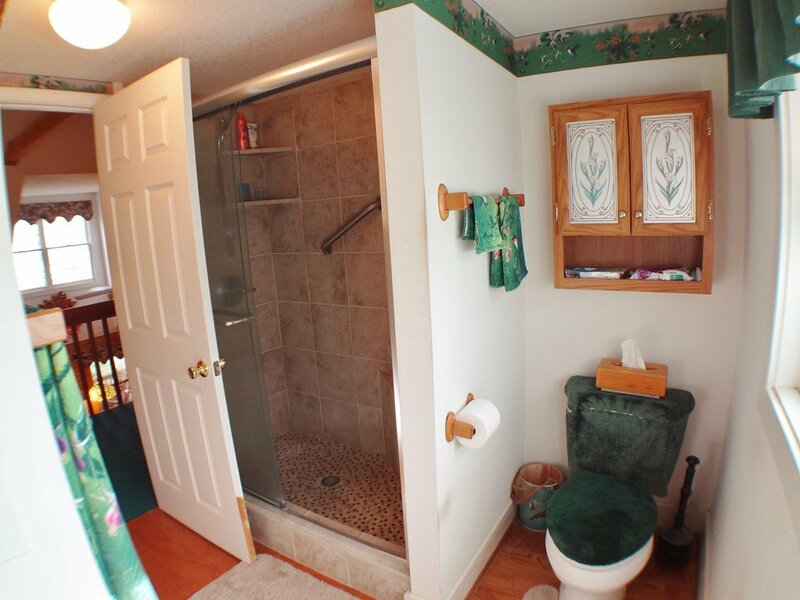 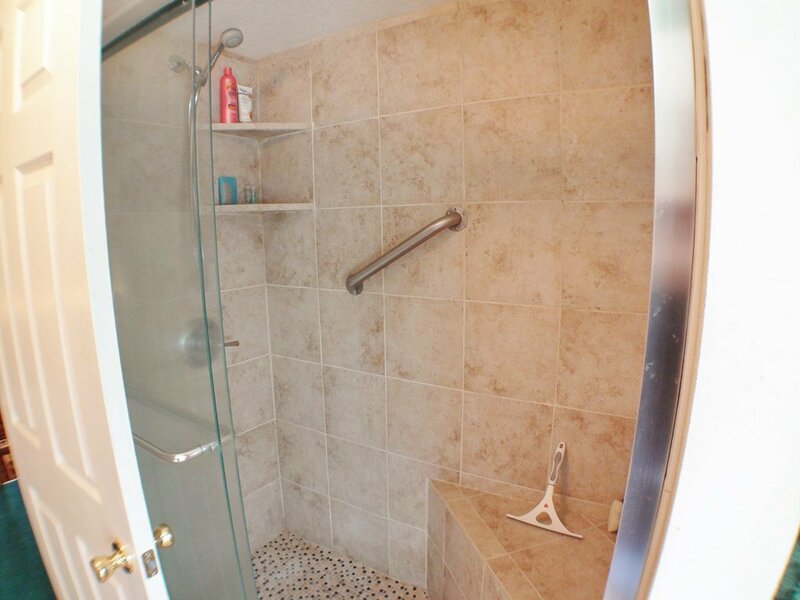 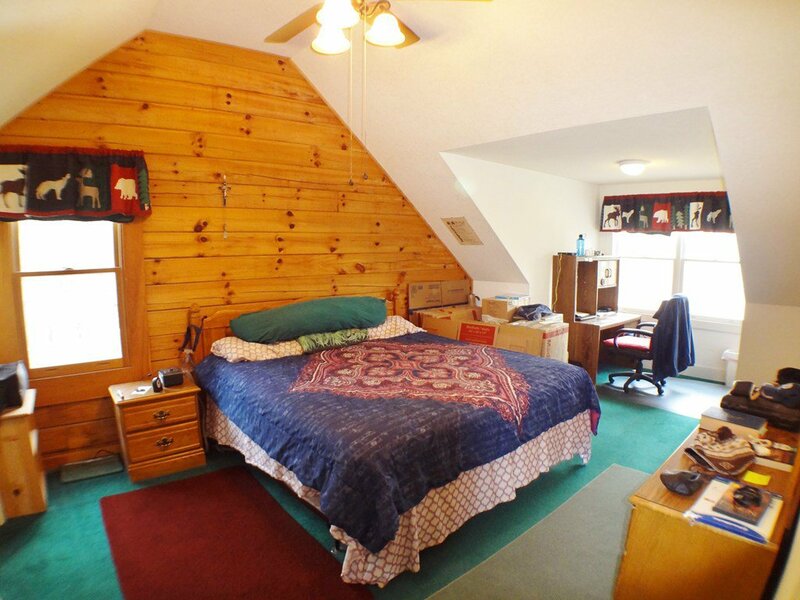 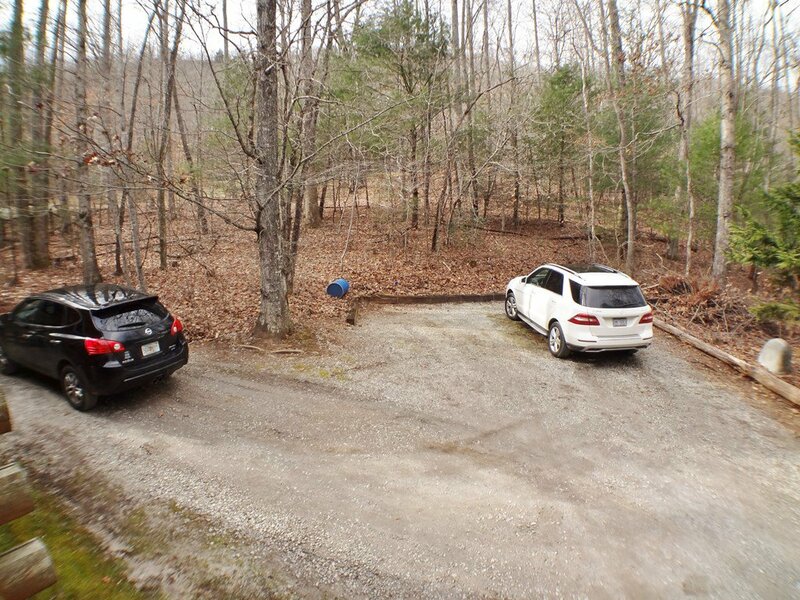 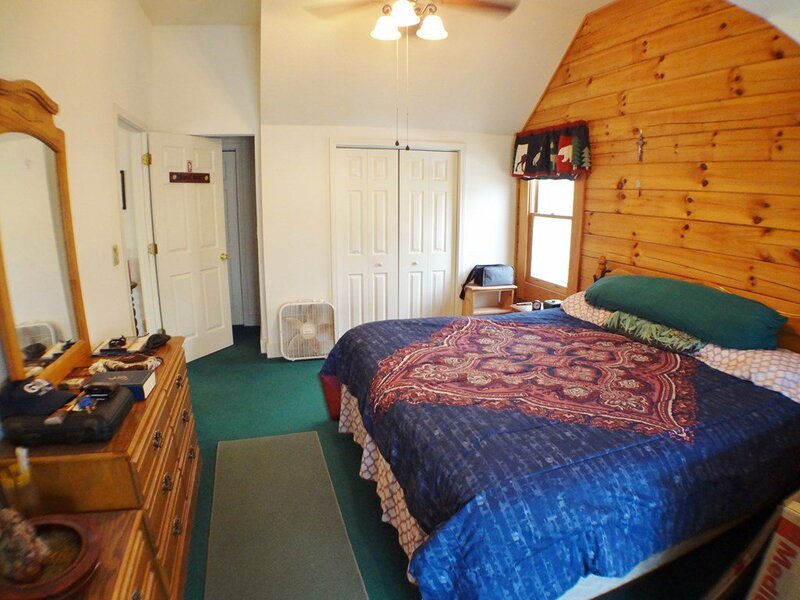 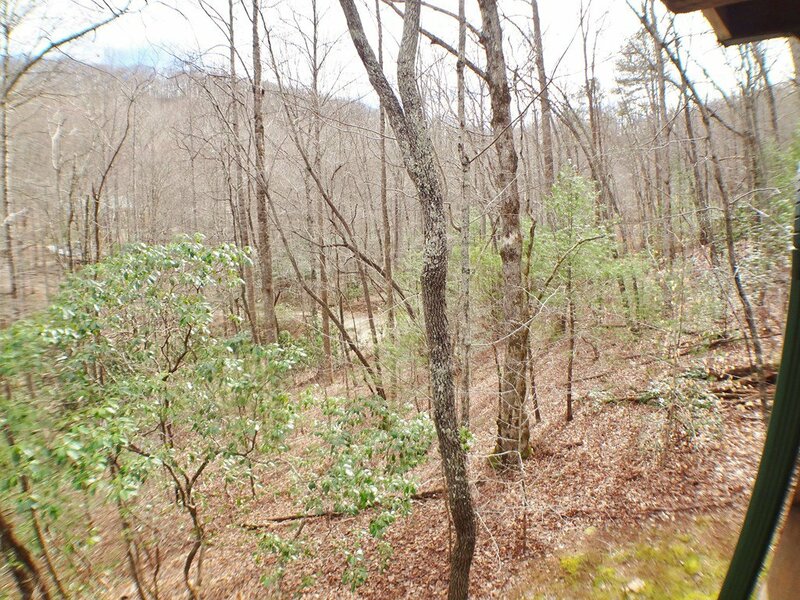 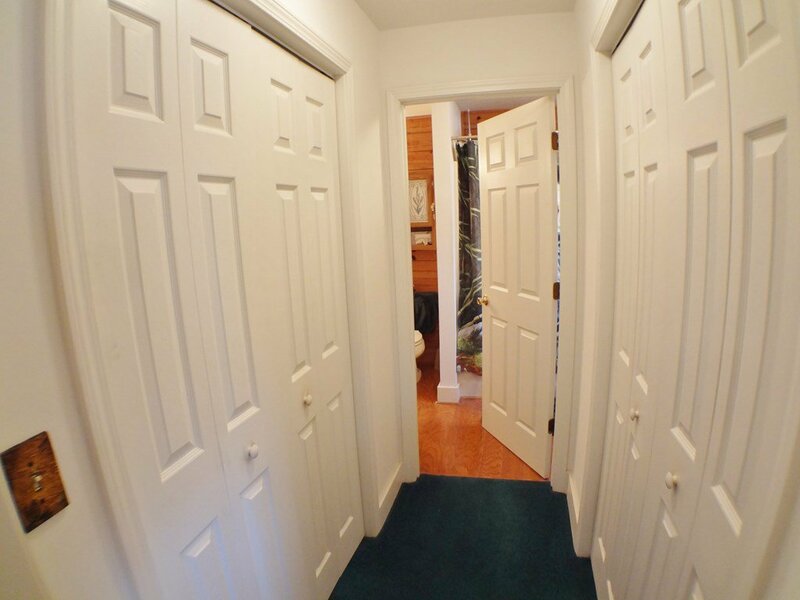 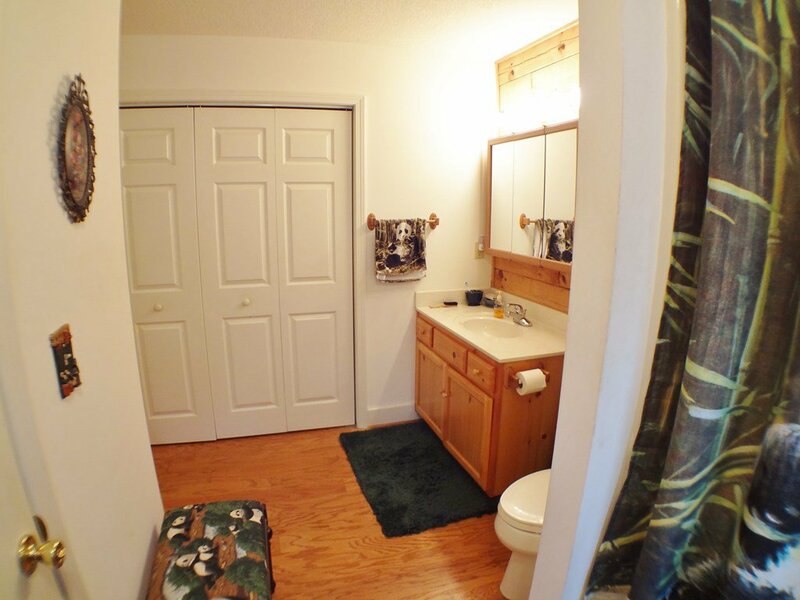 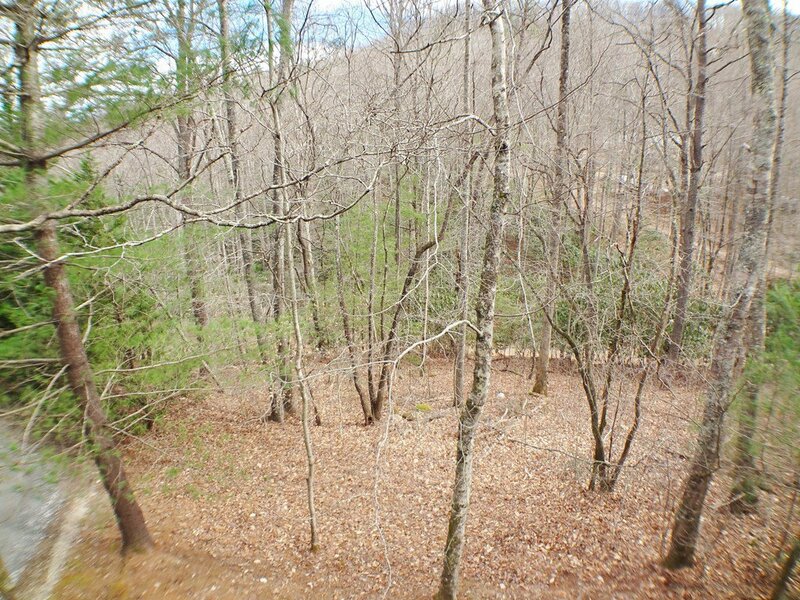 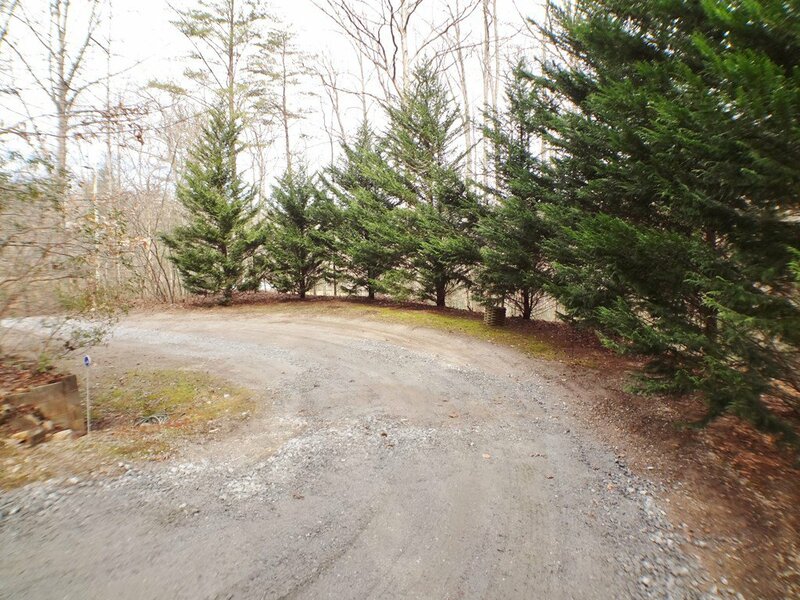 Both levels have master bedrooms with adjoining bathrooms and plenty of closet space.